I want a free demo class as soon as possible – sign me up! Fill in your Name and Phone Number below, and we’ll call you to book your demo as soon as possible! Take a FREE Demo Class! Music Together® music classes are available for Babies, Toddlers, and Preschoolers in Toronto at ABC Academy of Music. We are delighted to add this world-famous program for mixed-age music classes of children and toddlers ranging from 8 months through 5 years of age. For over 25 years, Music Together® has been bringing children and parents together through music worldwide using ongoing, research-based curriculum and classroom development. Songs, rhymes, movement, and instrument play are all incorporated, giving kids the opportunity to experience a wide range of musical experiences, while building social and activity skills with other children. This nurtures creativity, self-expression, and confidence and supports social, emotional, cognitive, and physical development. Because these benefits build over time, children enjoy the fullest growth in each of these areas when they participate in Music Together classes as consistently as possible up through kindergarten. The philosophy of Music Together is that all children can learn to sing in tune, keep a beat, and to take an active part in the music that surrounds them, provided that their environment supports this learning experience. Included as part of your tuition is a fresh set of CDs for each session, allowing you to continue Music Together at home every day. Involving Parents and Caregivers as active role models in this musical learning is central to child development, and to providing ongoing support through an evolving and research-based curriculum. Seeing you engage in music sets the best possible example, and can set a child on the lifelong love of music, which is our central mission at ABC Academy. Any Parent, Grandparent, nanny, or trusted friend can bring the children. Music Together teachers are specially trained, and registered to guarantee the highest standard for bringing a fun and beautiful musical experience to your child. On Mobile? Try this in landscape orientation. engaged at such a young age. ahora de 4.5 años sigue participando. Le encanta venir a clase y a su hermana Aria. En casa escuchamos la música y les encanta. We absolutely love music class. Super class, thanks a lot! play & have fun with music. I would write more, but my son is all over me! been the best fun. We look forward to going every week. all the time and his speech/language is excellent. We put this all down to the music. and she is now 2 + years. played a big part in helping to develop. We love the Music Together program. it's fun for the parents, so that's a bonus! both the kids and parents. This is excellent daddy-daughter time. It's a lot of fun and very inclusive. daughter shows. The instructor is amazing! Toronto because she loves her classes. She even started singing karaoke with us. it has been for her. at home or in the car. When we decided to add music classes for children under 5 to our offerings it was with great care that we checked the market of available programs. We are serious about giving even the youngest of children (we currently start at 8 months old), an experience that not only builds basic musical competence, but helps to build bonds and love in a family setting. As a matter of due diligence, I joined the training with our teacher, so I would know what the classroom was supposed to be like. It was a magical experience for me, and by the end of the training I had decided to teach some classes – this was not the original plan. Still, my passion for music is such that the quality of this program really fired my imagination. Music Together is not just a thing that kids do on a weekly basis, it becomes a family – and community – event, where deep, ongoing research in early childhood and music education intersect in an invisible way to help build bonds through Music, Instruments, and Physical Expression. Parents and children will love to know that their teachers are working hard to bring them just the right balance of music every week, carefully planning a diversity of content that spans different music rhythmically, culturally, historically, with a careful structure that balances singing, dancing, movement, instrumental play, and props. Ultimately, Music Together lives up to its name exactly – and makes the time we spend together wonderful! I look forward to welcoming you to our classes anytime! Music Together’s nine song collections—each identified by its own color, instrument name, and graphic—are presented in a three-year cycle of three semesters per year. They are non-sequential, so families may join at any semester and attend class any time, enjoying three full years before cycling back to re-experience the collections from their growing children’s ever-changing perspectives. Because music learning is cumulative, with children reaping developmental benefits that build over time, we encourage their participation for as many years as possible from infancy through kindergarten. The song collections, are each characterized by its own graphic, color, and instrument. These collections each include a recording and songbook and are designed to be used one collection per semester. The collections are not sequential. A family can begin Music Together classes at any time with any collection. With approximately 25 songs per collection, your child will be exposed to well over 200 songs as you cycle through the 9 different collections! Infants that start at 8 months, or sooner, rediscover the songs at the start of collection they began with, with a fresh set of ears, and experiences awaiting them! Music Together® is committed to helping families, caregivers, and early childhood professionals rediscover the pleasure and educational value of informal music experiences. Music Together applies the latest research in early childhood music development to the program. All of our teachers have successfully completed Music Together’s training program. Music Together trainers personally meet and train each prospective teacher at our teacher trainings offered in over 50 locations worldwide. Teachers enjoy ongoing skill development workshops and support throughout the year, and they become part of an international teaching and learning community on the cutting edge of music education. Additionally, ABC Academy selects University Trained musicians (or equivalent), active in their field, and passionate about what they do. This brings a level of involvement that is hard to find in other children’s music classes, and one that enhances the experience for all of our students and their families. Even Teachers Love Music Together – See What They Say! Spring 2019 Registration Open – Call to REGISTER NOW – Starts April! Call for Free Demo Class Info! Get a FREE CD, FREE Demo Class, or ask us questions! Is Your Child Over 5? Click Here for Music Lesson Information! Enter your information below, and we’ll call you about a Registration for our Weekly Music Together Classes, or to get you into a Free Demonstration Class at the earliest possible opportunity. You can also call us any time at 416-651-7529. Any Other Questions? Tell us! 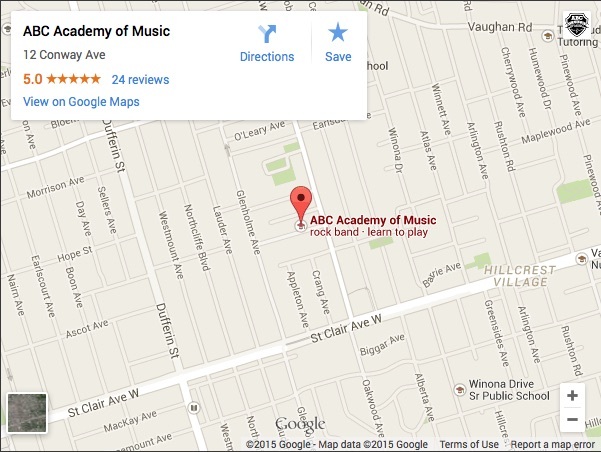 Why Choose Music Together with ABC Academy?